So: the big question — what do we do with him? Sectioned off by 3 wide canvases to form one large picture, the Panda took Aviv + I almost a full year to complete. We started it the summer before I left for Paris to study abroad for five months. There was a very large, bare wall in our studio apartment on Ludlow St—the first apartment we live in together—and we searched high and dry to find a piece of art to plant on it. In the end, אם אין אני לי, מי לי? — as they like to say in Hebrew, which is a more motivating translation of: if you want something done you've got to do it yourself. So we did! We bought the paint and the brushes and the charcoal drawing pencil. Aviv got to work on the sketch, and it was my job to add the color. By the time I returned at the end of May, we finished coloring him in together. 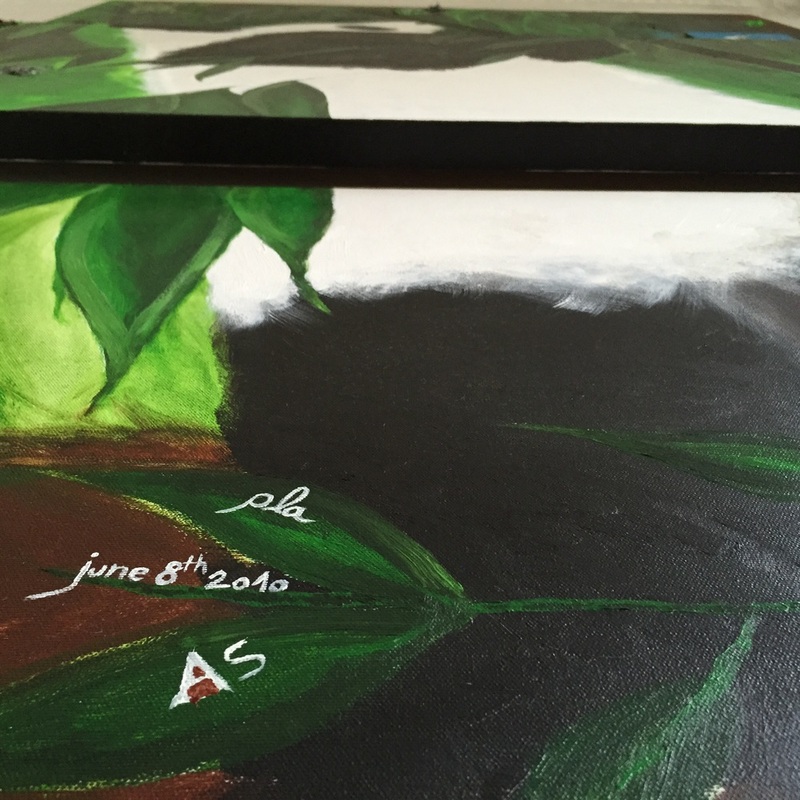 All three canvases were complete a day or two before Aviv's mother's 46th birthday, an artist herself. So we dedicated a little corner to her, with the #46. In the end, we signed it finished with the (two year) anniversary date of the day we decided we were for each other: June 8th, 2010. So: the big question — what on earth do we do with him? If it were you in our shoes, what would you do with your self-made Panda painting? We obviously have a preference ourselves, and many options to choose from. But if this little conversation starter works, wouldn't that be so much more fun? So yes! Tell us in the comments if you care to get in on this. Perhaps we'll go with the winner answer!